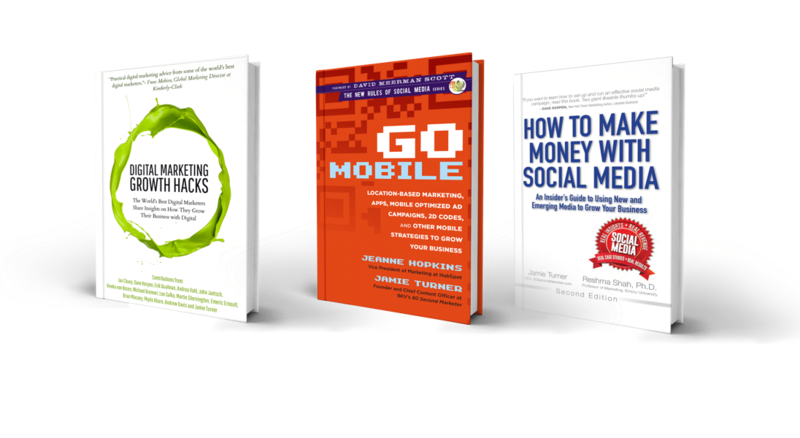 Jamie Turner is the co-author of three essential books on marketing that have helped executives like you improve their skills and grow their business. How to Make Money with Social Media is now in its second edition. Go Mobile has been published in 5 different languages. And Digital Marketing Growth Hacks was co-authored with 11 of the world’s best-known digital marketers. Jamie is also an internationally recognized educator, speaker and marketing consultant who works with brands around the globe. Want to learn more about Jamie Turner? Click the video below to see him in action. Want to find out how Jamie can help you? Just email him at Jamie.Turner@60SecondMarketer.com or call +1-678-313-3472.